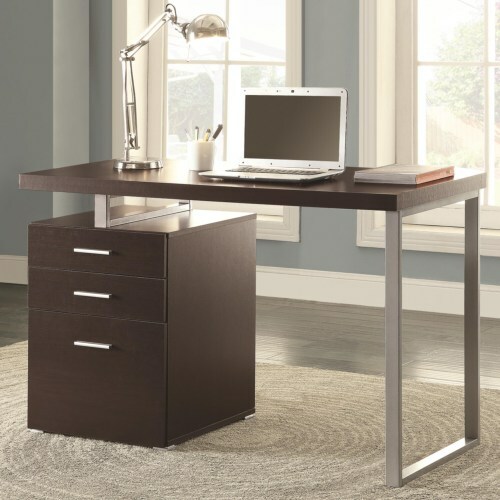 Whether you are left or right handed, you can set up this handy desk in a way that's easiest for you to navigate with a switchable file base. The writing desk comes equipped with two office supply drawers and one hanging file drawer for optimal organization of your desk. Choose from three trendy colors to best match your home and office decor.